Should I buy a rebounder or trampoline? Is that the question you are fretting over? Are you finding it difficult to make a choice among the two? This maybe because you don’t know the difference between a rebounder and trampoline and the specific purposes they are used for. Therefore, we have compared both the devices for you here. It will clearly show you the difference between a rebounder and trampoline. Both the trampolines and rebounders are the hybrid of the same family. They are very closely related to each other in their look and making. Rebounders are often termed as mini-trampolines sometimes that employ the same jumping motions as that of a regular trampoline. Although they are quite similar in many ways, their uniqueness lies in the difference of purposes they are used for. Trampoline is basically a recreational device that can either be used for fun or various exercises but rebounders on the other hand is dedicated to a high-end rebound exercise or rebounding aerobics. We have made the comparisons based on their utility, shape, size and safety. This will help you to choose either of the equipment depending on your prerequisites. 2 Which Option Should You Go For? 2.1 What is your purpose for buying this device? 2.2 Who is going to use the device? 2.3 Where will you use this equipment at your place? Talking about the difference in size, we already know that rebounder is a small trampoline. Thus, rebounder is smaller in size to any of the trampoline. Moreover, the rebounder sits much lower to the ground as when compared to an ordinary trampoline. There are various sizes available in a rebounder ranging between two to four feet in diameter whereas trampolines can be as large as 16 feet. Unlike the highly elevated trampolines, rebounders rise only one or two feet above the ground. The perfect size and low elevation of the rebounder makes it ideal for fitness regimens. You can perform high-intensity workouts on rebounders like aerobics flawlessly and also carry them to whichever place you want. Trampolines on the other hand are more commonly used for recreational and fun purposes. They need properly dedicated place for their establishment and stay in one place especially outdoor trampolines. However, one can use the trampolines for various low-impact exercises too. Both of the devices have a certain level of risks involved with their use. But the integration of safety enclosures and protective spring pads in trampolines have make them relatively safer. Rebounders do not have such safety features but their low height makes them considerably safe for workouts. Because no one performs deadlock moves on a rebounder owing to its small jump mat, it provides enhanced safety than a trampoline. It efficiently eliminates the risk of falls due to disoriented flips and landings. Trampolines have a huge bouncing surface which allows you to perform various tumbling workouts and high-end tricks. Apart from practicing exciting stunts like handsprings and flips, there are nice low-impact exercises that one can execute on the trampoline too. You can walk, bounce or jump on the large jumping area of standard trampoline which is not possible on the small-sized rebounders. However, rebounders are totally different in their use and friendlier for fitness enthusiasts. They don’t have enough room for cool moves and are vigilantly used for aerobic exercises. Basically, the rebounder is used for simple and vertical up and down jumping. Exercises on a rebounder can be made more exciting by incorporating certain accessories like dumbbells or stretch bands. Weight capacity of any equipment is attributed to its particular model and construction. The limit up to which any rebounder or trampoline can bear weight may vary depending on the make and model of the device. There are some rebounders available in the market that can stand an enormous weight of 400 pounds too but not all of them can do so. Same happens with the trampoline where some models are sturdily built to endure a weight of almost 330 pounds usually the bigger trampolines but some small trampolines only allow 100 pounds. Rebounders are only meant to be used by one person at a time but buying a trampoline can allow multiple users together according to its weight capacity. Trampolines and rebounders are both exceptionally good at improving muscle coordination and proper sense of balance. They do not cause stress and pressure on the joints while you perform exercises on these devices. But because the kinds of exercises you can implement on both the equipment are different, the health benefits are also different slightly. Trampolines are funnier and more entertaining way of accomplishing your health goals because there are a lot of exciting things that you can practice on them. There are various accessories than can be used in trampolines like basketball hoop, bounce board etc. that make the trampoline exercises more amusing. Overall, both the trampoline and rebounders have great health benefits depending on your daily workout routine. If you have kids, you can buy a trampoline that will serve both the purposes of exercising and source of outdoor activity. Thus, you can achieve dual benefits from a standard trampoline. However, if you are going to use the equipment for only fitness purposes, then go for a rebounder. To make your choice easier, there are certain questions that you must ask yourself. You will get a clear answer when you put up these questions. What is your purpose for buying this device? 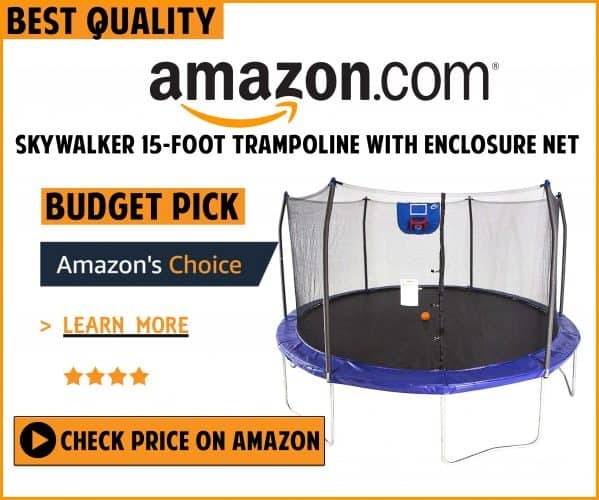 If you want a recreational device just for fun and outdoor entertainment whilst also practicing simple bounce and jog for fitness, you can buy a trampoline. It is a good choice and will also ensure a physically active family when all of you would jump together. Kids are very innovative and naughty and can try to perform certain cool tricks on the bouncy surface. Thus, a trampoline with safety enclosure is an excellent choice for you. But if you are single or do not have enough space at your place to accommodate a huge trampoline, you can go for a rebounder that will give you a nice exercising platform. Who is going to use the device? Is it your children or you? Rebounders surely do not have any age restriction and can be used by anyone. But kids may not find it as entertaining as a trampoline. So if you have a family with small kids, trampoline will be more appropriate for you. These trampolines generally have a soft and gentle bounce and sufficient space for giving them a nice time together. In fact, if you buy a large trampoline from a well-known manufacturer, you can see your children grow into it. Where will you use this equipment at your place? Space is the most important aspect while making a decision between both options. If you do not have enough room at your place, you are limited with a choice to buy rebounder. Rebounder is small and does not take a lot of space. It can be used inside the home even in your living room or bedroom. People who live in apartments usually have a problem with the space because they do not have a backyard or garden where they can keep big trampolines. However, there are indoor trampolines available too which are comparatively cheaper than a rebounder. But if you do have proper space for a trampoline and a good number of users, then should consider a trampoline over a rebounder for all the good reasons. 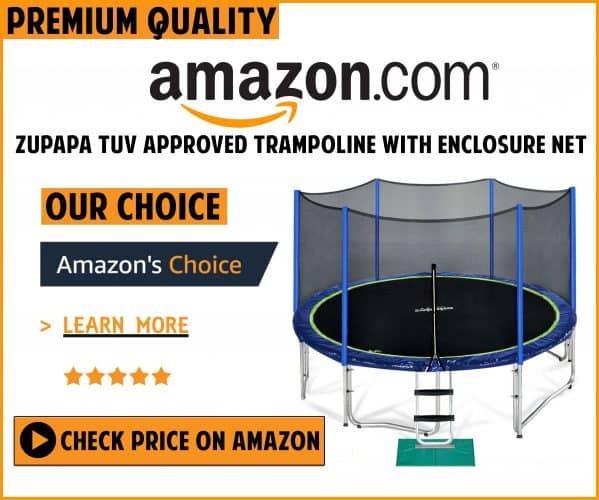 Now, when your query about ‘Rebounder or Trampoline- What are the differences?’ is answered, we hope you make a flawless decision for yourself. While each of the devices has its own shares of pluses and minuses, the final decision is all yours. You can buy either trampoline or rebounder whichever meets your expectations unwaveringly.